So, recently I came in contact with Danny from the brand Litographs. 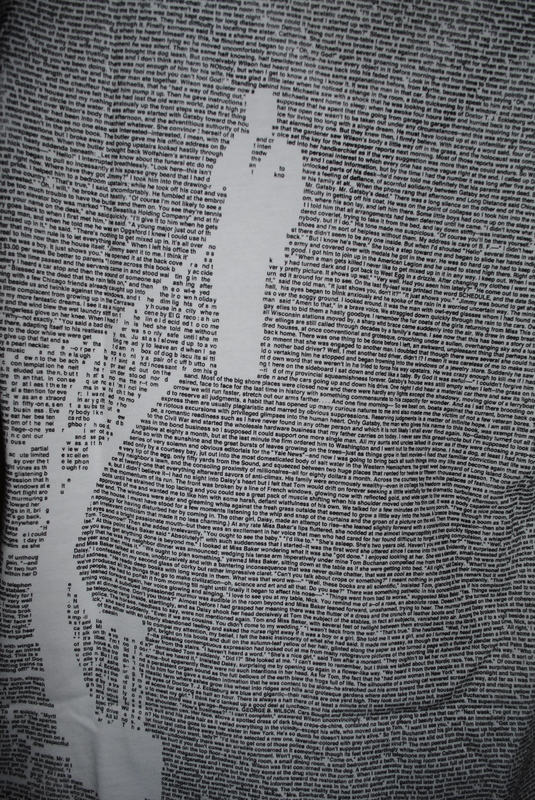 I have always been an avid reader, and was really excited to see some of my favorite books printed on shirts. 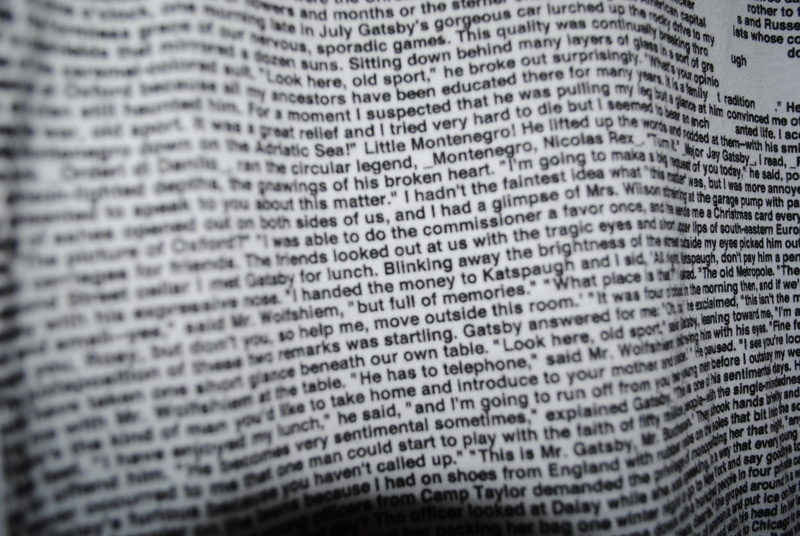 Instead of just being the title or a photo of a vintage book cover, Litograph shirts actually print the ENTIRE book on to a shirt or poster. Intrigued, I knew I had to get my hands on one myself. I chose The Great Gatsby, one of my all time favorite books, and went on to wait. Once the package came in the mail, I wasn’t completely sure what to expect. 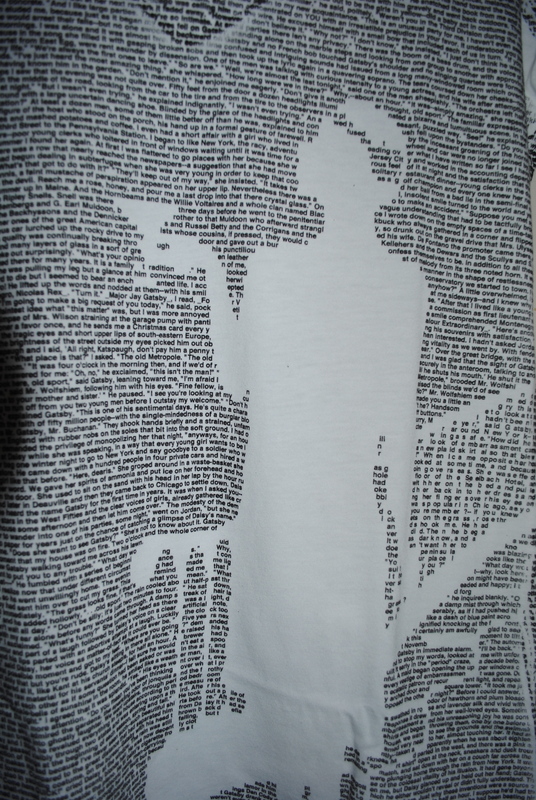 How could someone fit an entire book onto a shirt? Upon opening the package, however, I was given proof that it can be done. 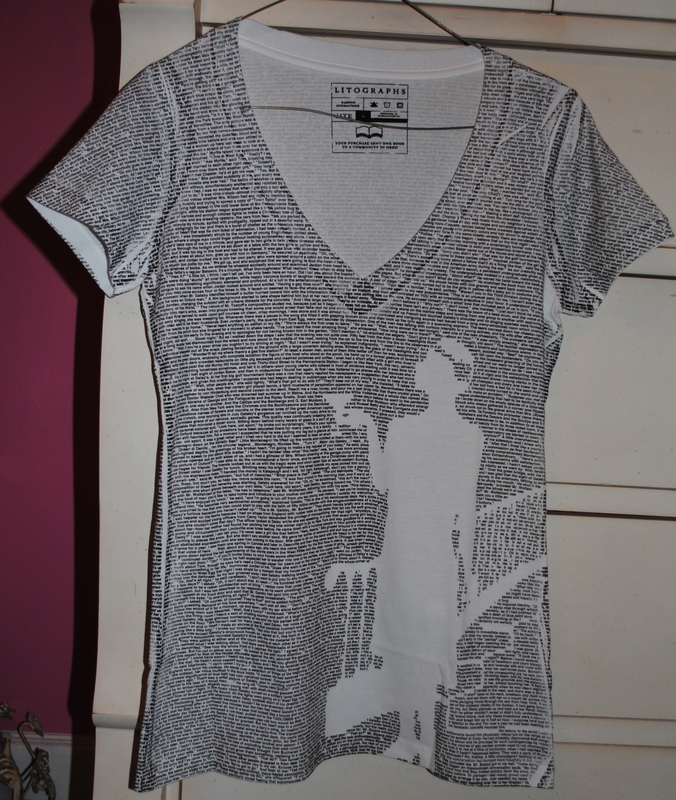 I honestly cannot wait to do an outfit post with this shirt, since it is so unique. It definitely will be a big conversation piece–I’ve already had people ask if they can borrow it for various 1920s related projects! As if the style of the shirt wasn’t enough, they also help a great cause. 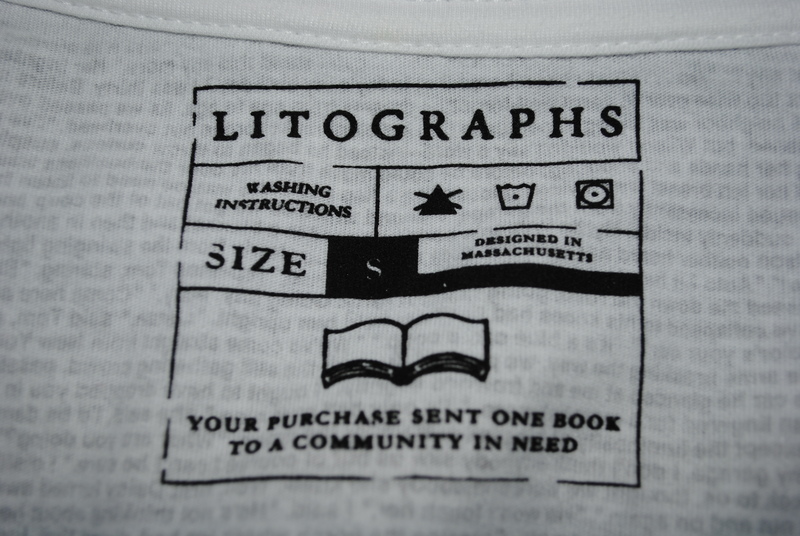 Each shirt comes with a donation to the International Book Bank to help give books to communities in need. If Gatsby isn’t your thing, there are a bunch of other titles to choose from. You can also get your literature in poster form, featuring similar graphics. 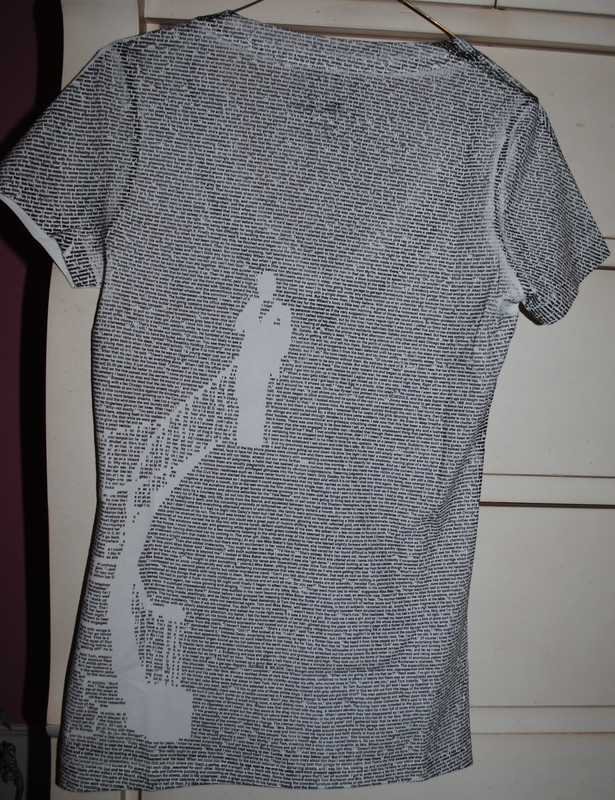 To order your own shirt, go to http://www.litographs.com/. If you wanna see a really cool video about the printing process, you can visit http://www.kickstarter.com/projects/772573430/litographs-entire-books-on-posters-and-t-shirts.